Product prices and availability are accurate as of 2019-03-27 03:49:55 EDT and are subject to change. Any price and availability information displayed on http://www.amazon.com/ at the time of purchase will apply to the purchase of this product. 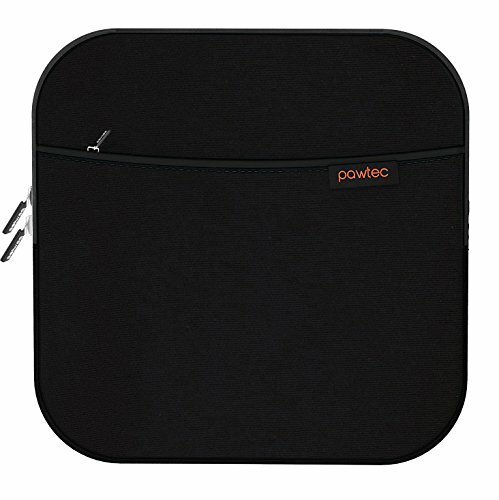 The Pawtec External CD DVD Blu-Ray & Hard Drive Neoprene Shockproof Protective Storage Carrying Sleeve is a universal lightweight and stylish sleeve designed to protect external CD/DVD/Blu-Ray drives, hard drives, or other computer accessories. With its high-quality neoprene exterior and shockproof bubble-padded interior, the Pawtec carrying sleeve can protect a large number of devices from various brands (up to 7.25 inches) from spills, drops, bumps, and damage. Rubber-molded zippers help close the sleeve and secure your drive inside. The sleeve also comes with an extra front pocket that can store other accessories such as cables and memory cards. 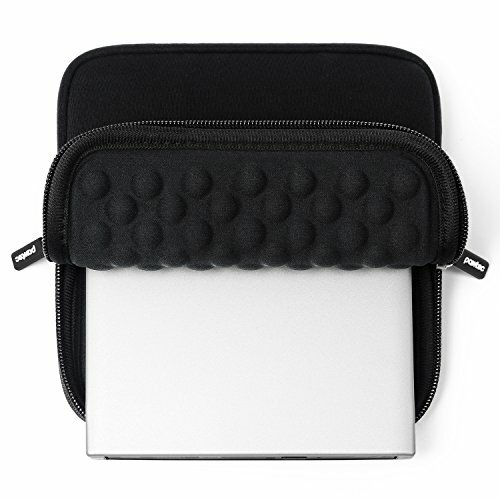 - Padded Neoprene material on the outside allows the case to stretch and fit larger devices (up to 7.25 inches). - Extra front zipper storage pocket for extra accessories. - All 2.5" Portable External Hard Drives from Western Digital, Seagate, Hitachi, Toshiba, and more. - 7.25 x 7 x 1 in. COMPACT PORTABLE SIZE - Measures 7.25 inches to fit many portable external CD/DVD/Blu-Ray drives, hard drives, or GPS devices from major brands. EXTRA ASSURANCE PROTECTION - Shockproof bubble-padded interior protects your device from bumps, scratches, drops, and dents. QUALITY STITCHING AND MATERIAL - Made with stretchable and lightweight Neoprene material which allows the sleeve to fit a large array of devices (up to 7.25 inches). FITS EXTRA CABLES - Front storage pocket with zipper to securely store additional accessories. 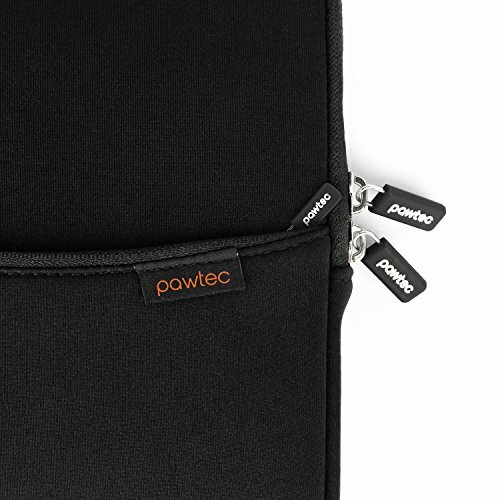 TOP CUSTOMER SERVICE - Pawtec is the first original designer of the Neoprene CD Drive Sleeve with Extra Storage Pocket. We offer a 1 Year limited warranty with easy replacement at no cost.